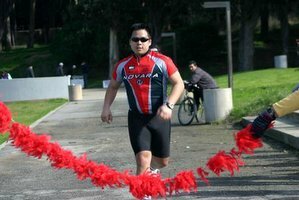 This picture was taken during the 2004 IronMan training season. I think I was carrying about 205 pounds. 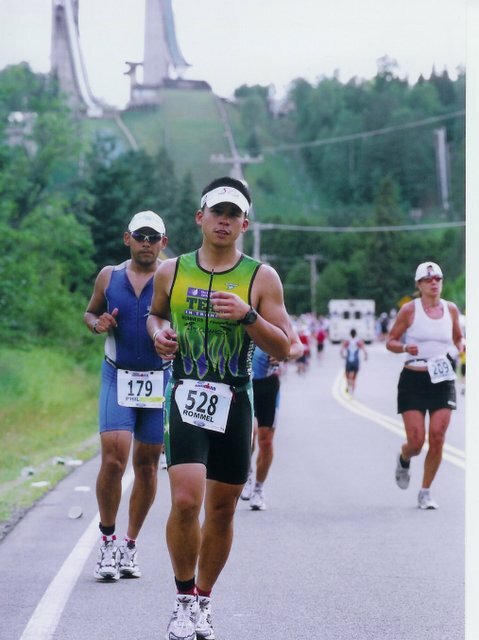 This is me at the Lake Placid IronMan 2006. I'm weighing in at 152 pounds. That's all due to the oatmeal diet right? We're going to miss you next year. Make sure you can keep in touch.